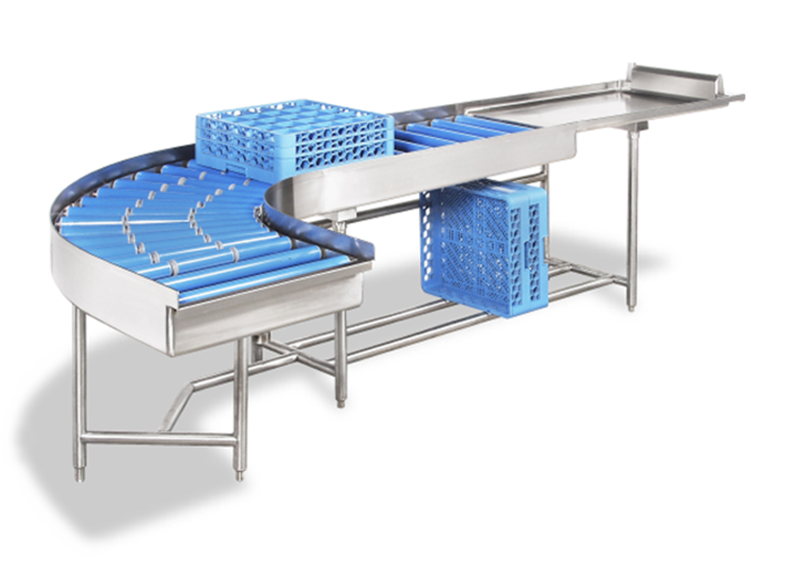 Three roller curve design allows racks to make a turn in the tightest space possible. Rollers alleviate the strain put on the drive motor of the C-line. Racks are elevated, allowing for greater air circulation and quicker drying. 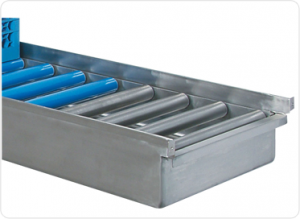 The stainless steel rollers can withstand high temperature of the dishracks coming off the dishmachine. A sloped dishpan allows for quick & easy drainage of stagnant final rinse water. 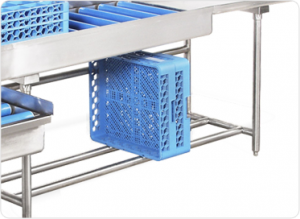 At the end of the clean dishtable is a dishrack accumulation switch to stop the dishmachine when activated. 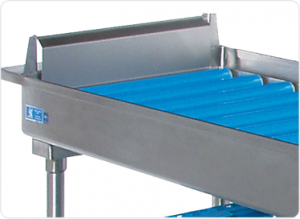 Tubular Undershelf provides additional storage space for tight dishrooms.